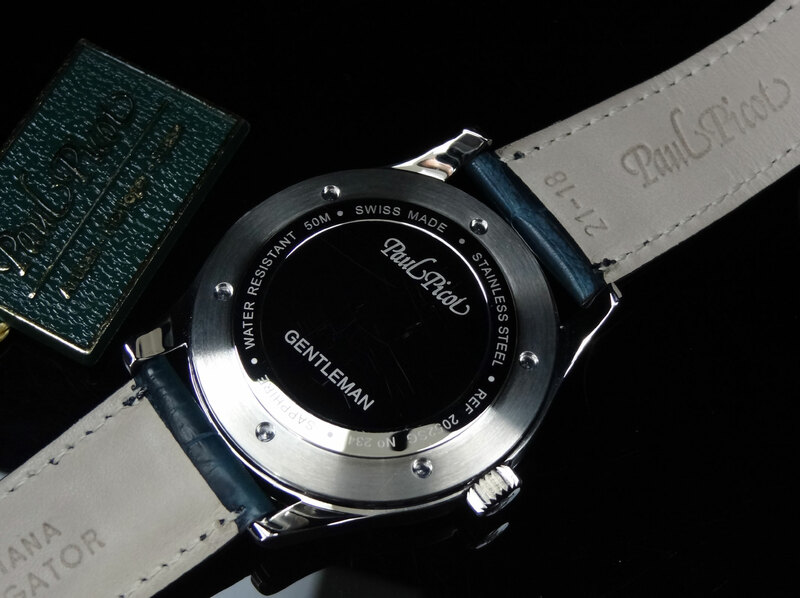 Based in Le Noirmont, Switzerland is a boutique factory by the name of Paul Picot S.A. The workers there pride themselves on thorough designs and high quality traditional watchmaking, while still managing to throw some innovation in the mix. 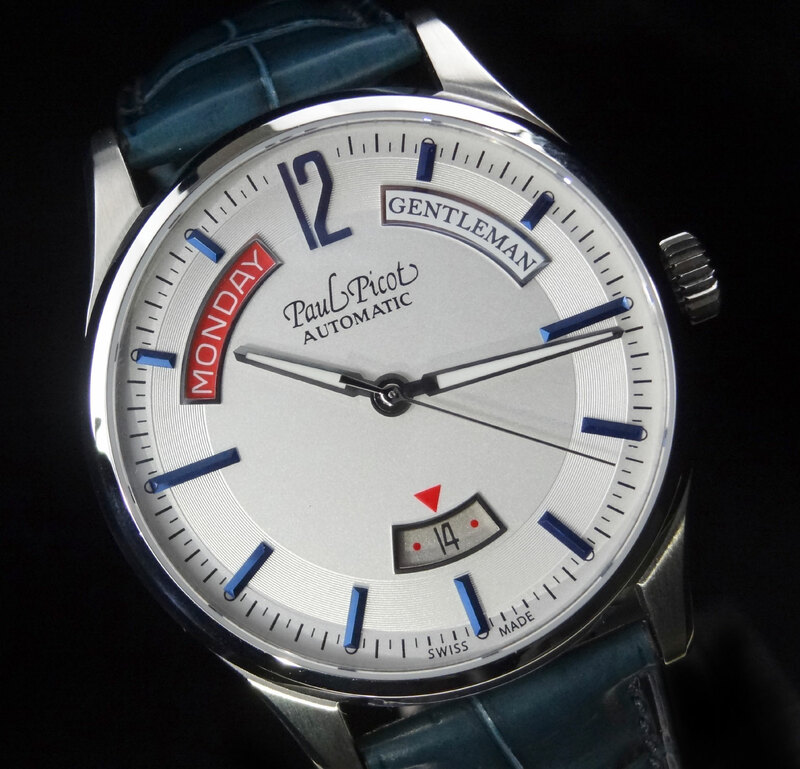 Today, we are introducing the Paul Picot Gentleman Classic 40mm P2052.SG. 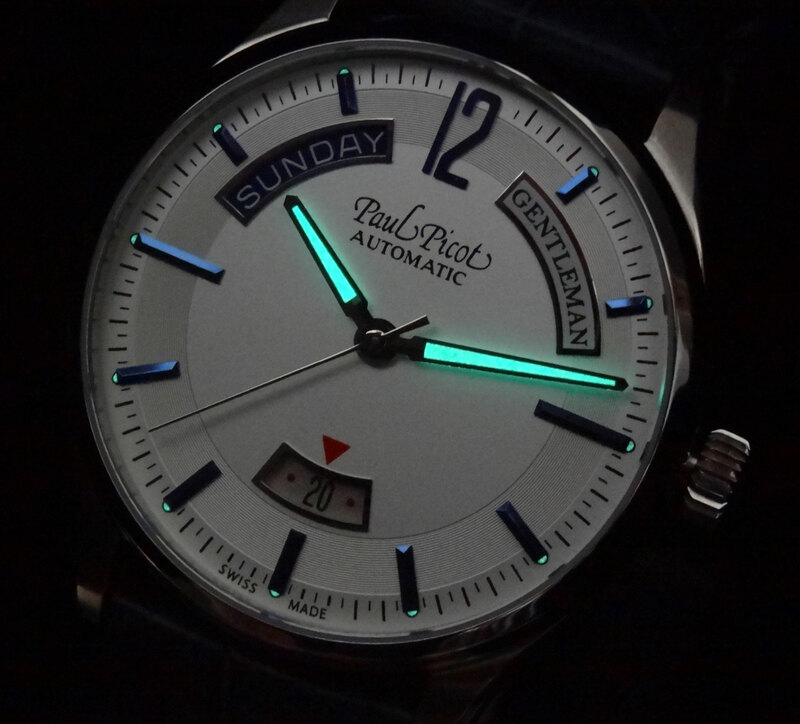 This Paul Picot is a very clean and colorful watch without being overbearing on the color. 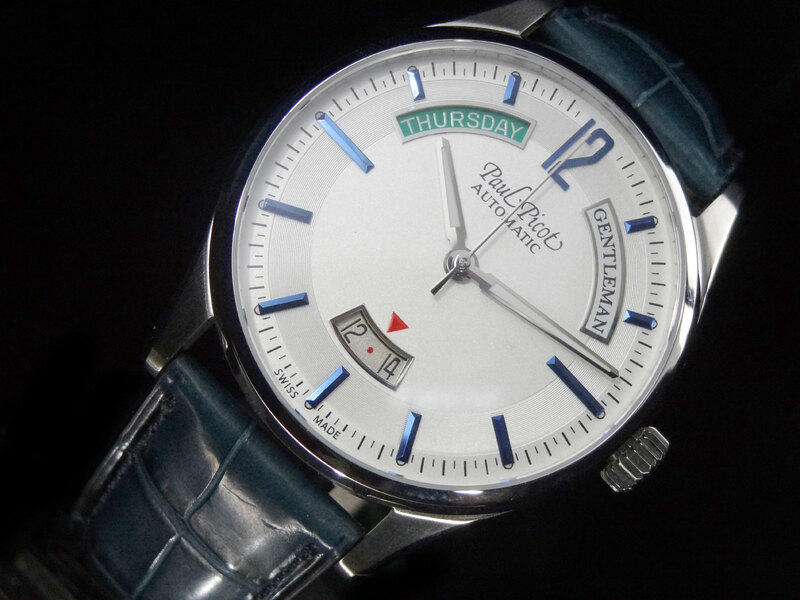 It’s crisp silver dial along with blue applied numerals and indexes really pop and give the dial a nice depth. 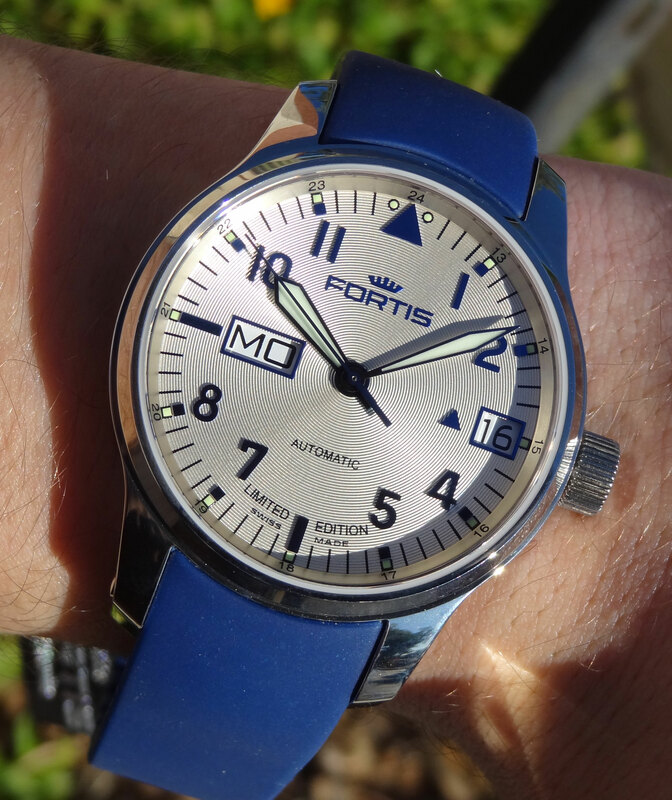 I’m a big fan of blue indexes on white/silver dials. To me, it is very eye catching. The silver and blue on this watch is definitely attractive, but what really draws the attention to this timepiece is the multicolored day of the week wheel. The day wheel utilizes the 7 colors of the Rainbow, each color representing a different day of the week. While it’s not a tremendous complication, it is still very cool and adds tons of character to the timepiece. The fit and finish is very nicely done using brushed finish on the case sides, with a high polish on the bezel and the edges of the case, making for a great little detail. The 40mm case is not large, but wears larger than you’d think due to the slim bezel. The case back is closed and has a nice amount of space for engraving. The strap is a very high quality Louisiana Gator and is almost a grayish-blue color. This piece could easily work well with a suit, or more casual, matching very well to jeans. I don’t think it is necessary to match my watch to my clothes, but this one (even though rich in color) still works with just about anything. The strap is topped off with a custom Paul Picot tang buckle. The Swiss automatic movement is most likely an ETA 2834-2, a 3 hand with date and big day feature, modified in Paul Picot’s factory. Unfortunately, Paul Picot does not list the specific movement used, but this would be my 1st guess. Judging by other movements I have seen from Paul Picot, the quality and finish will be superb. AZ Fine Time is one of very few, if not the only current authorized dealer for Paul Picot in the US. We actually used to carry the brand a few years back, but there was a lack of distribution that prevented us from carrying them. 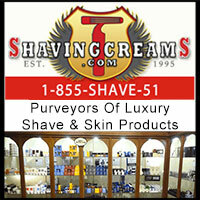 Now, with a solid distribution, the brand is back in full force and we are very excited to have them, once again. 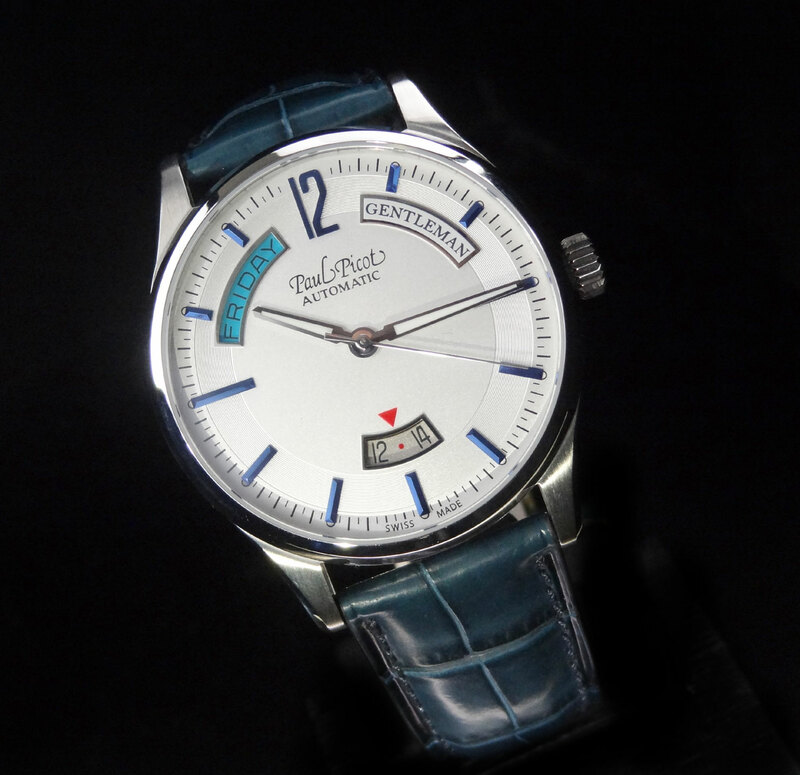 From our previous years of experience, we know Paul Picot makes very high quality timepieces, at reasonable prices. 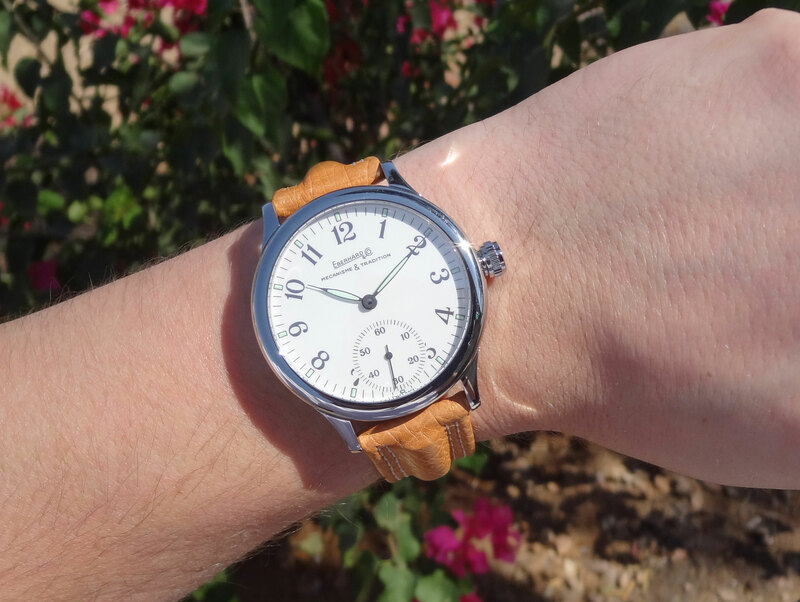 Retail on the Paul Picot Gentleman Classic 40mm P2052.SG is $2640. If you have any questions, please feel free to call us at 1-800-486-3996. 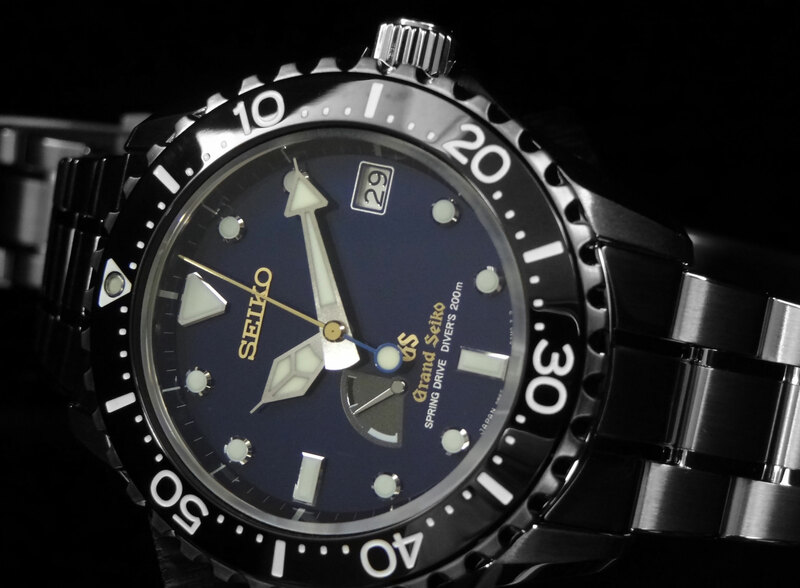 Seiko‘s history with dive watches dates back to 1965, when they produced Japan’s 1st dive watch. Back then, diving was a relatively unusual sport that not many people partook in. Since then, the evolution of sport diving and the evolution of Seiko’s dive watches have come to full speed. The reputation Seiko has for a great dive watch is hard to surpass, and today, the new evolution of luxury and sport has come into one beautiful new limited edition. 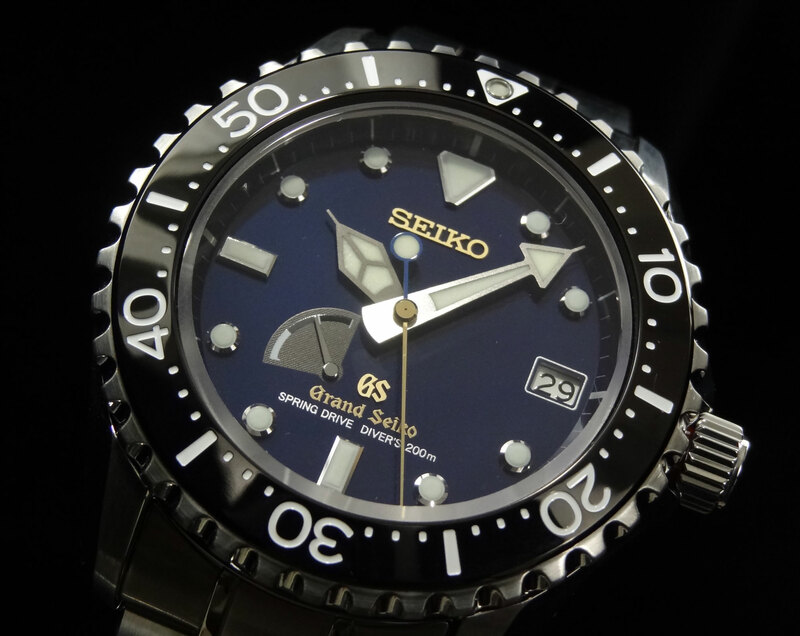 The Grand Seiko Spring Drive Diver Limited Edition SBGA071. Originally announced as a limited edition of 150 at the Basel Fair March 2012, the piece has been highly anticipated and adored by customers. So much in fact, due to the high demand, the initial quantity produced has been adjusted to 200 pieces for the world, coincidentally matching the pieces water resistance. 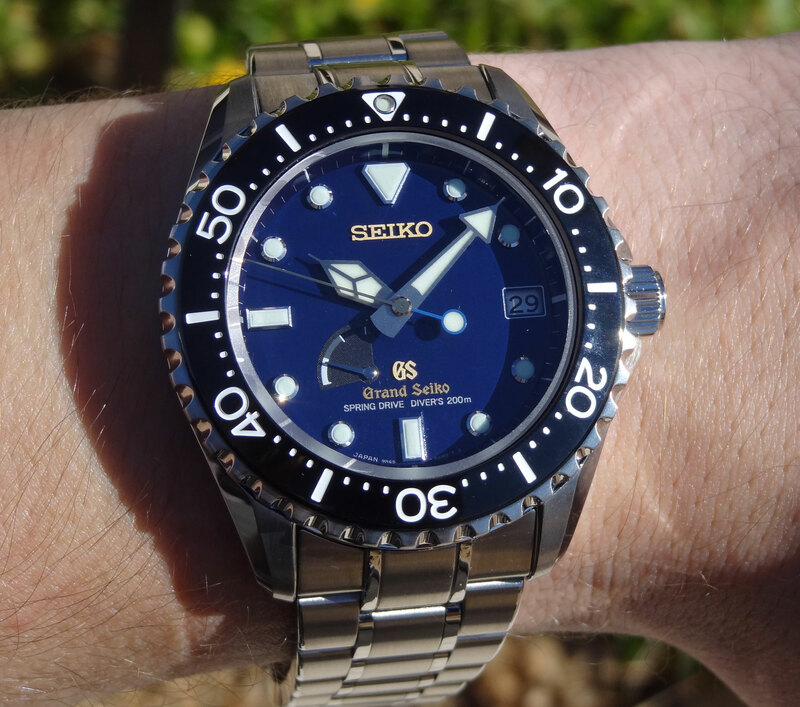 The Grand Seiko Spring Drive Diver SBGA071 is stainless steel case and bracelet, using Seiko’s impeccable Zaratsu (Katana Blade) polishing technique. 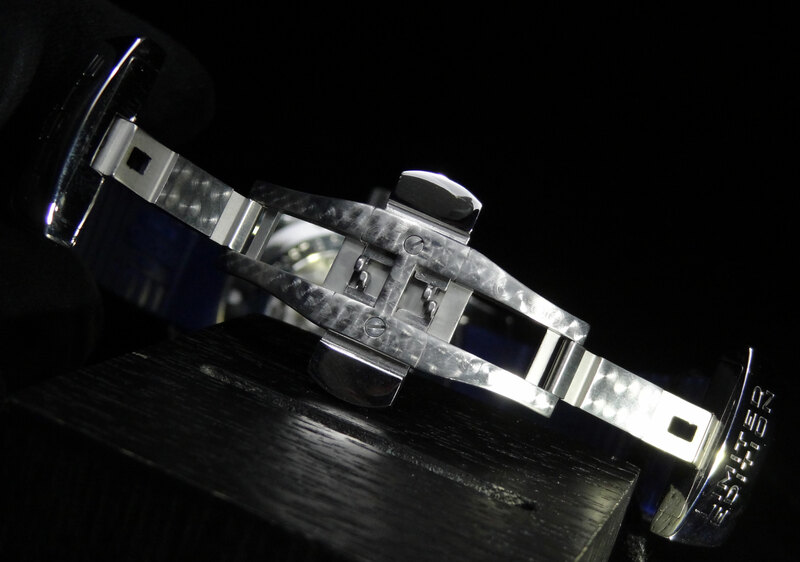 The mirror quality finish can be found on the case sides as well as middle links of the bracelet. 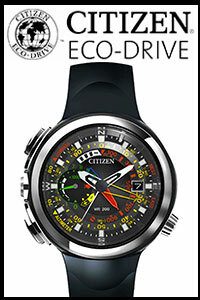 The case is 44.2mm wide, 14mm thick and has a solid case back engraved with with the watches 1-200 serial number. The crown is fairly large, and makes for very easy smooth setting, but is also guarded by a crown protector in case of any potential damage that can occur in diving. Should the crown be opened, there will be a red stripe exposed to help prevent you from jumping in the water before screwing down the crown. The bracelet on this piece is quite special. Not only does it have a unbelievable finish, but also has an elaborate expansion clasp for going over a wet suit. The ratcheting expansion is extended by pushing back on the locking mechanism of the clasp and pulling on the side of the bracelet where it extends out. When pushed back, you can extend the clasp to the desired position and it will lock in place when released, which makes for a quick and easy adjustment. On top of that, there are micro adjustments on the clasp to add even more comfort. 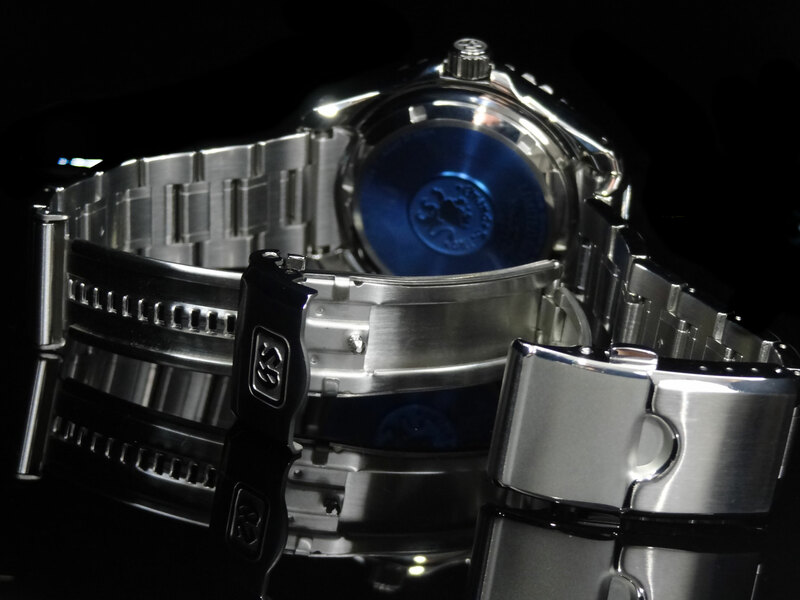 The movement utilized is Seiko’s in-house manufactured and developed 9R65 Spring Drive caliber. There is much to be said about Spring Drive, all being great. 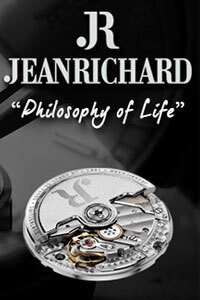 For such a utility watch, only the finest movement is worthy of being inside of the timepiece. 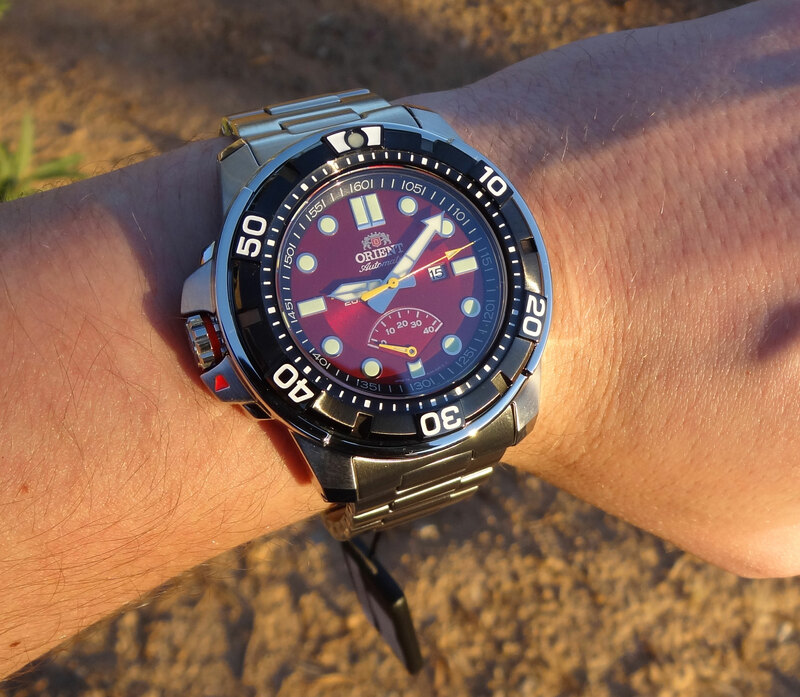 Spring Drive’s immaculate accuracy, durability, and 74 hour power reserve are the perfect fit for this diver. The gliding motion is mesmerizing, not to mention incredibly accurate. Rated at +/- 1 sec a day, the performance is most likely to fall within a 1-3 sec a month deviation, judging by customer feedback and personal experience. 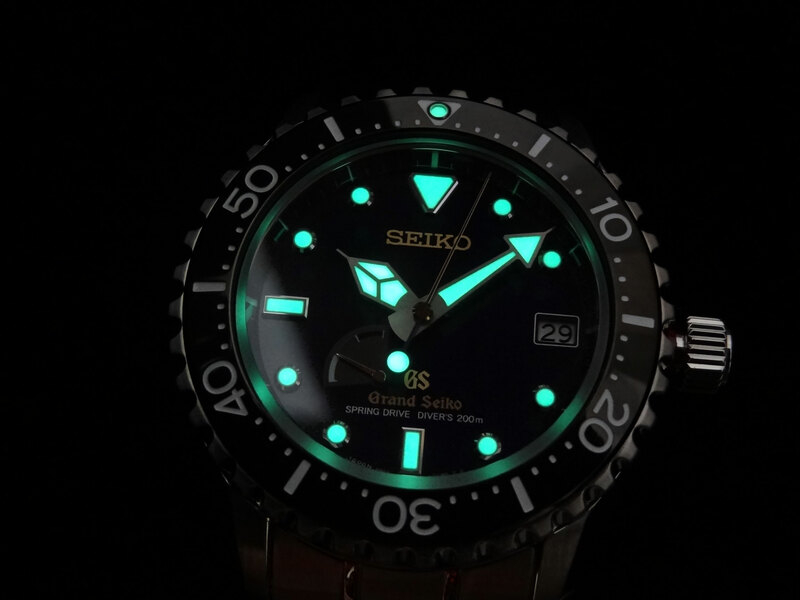 The lume on this piece is very powerful. Helpful in the darkest of settings and made to last long throughout the night (or in really dark waters). The proprietary Lumi Brite luminescence is the same utilized in the highly acclaimed Seiko Space Walk. 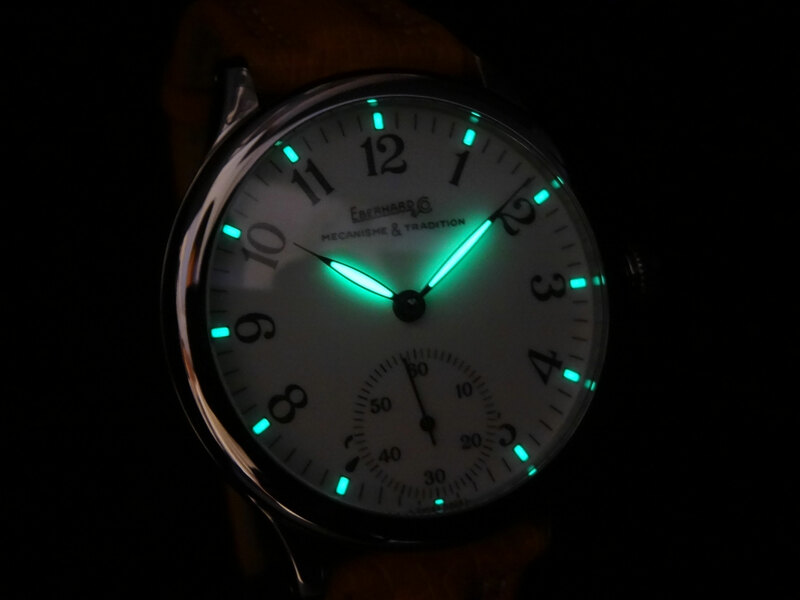 This is some of the brightest natural lume you can find in the watch world. 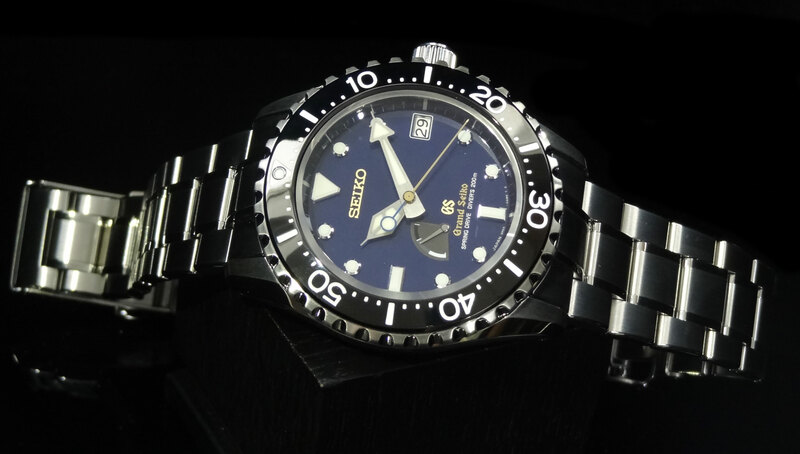 So what really sets this apart from it’s counterpart (SBGA029) is its beautiful blue dial. The blue ranges in shade from a very dark navy blue to a lighter royal blue, depending on the lighting. Its color has more of a glossy finish compared to the prototype we saw in Basel, which ended up giving the piece even more gorgeous look than expected. This along with the black hard coated uni-directional bezel adds a nice contrast and subtlety. 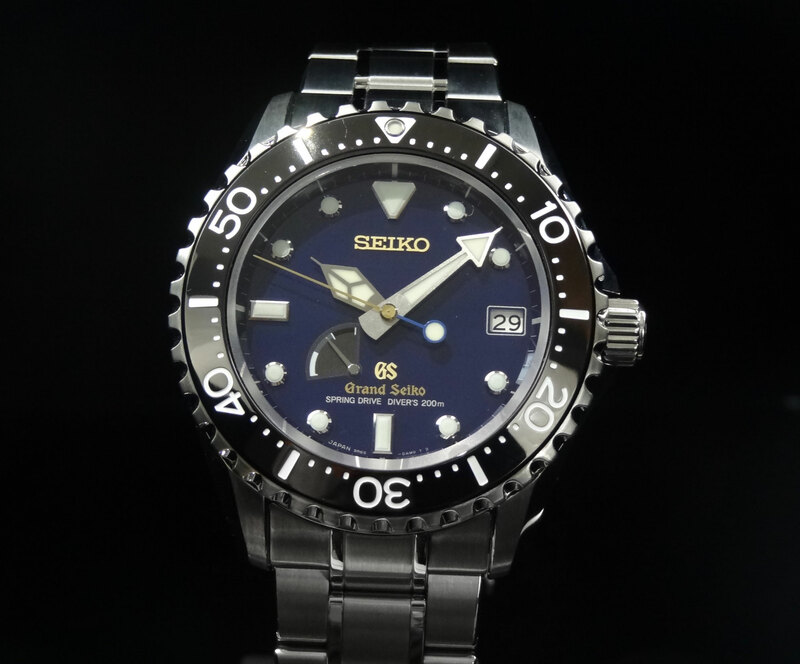 Some other nice attributes are the gold colored “GS” and “Seiko” logo on the dial. There is also a matching gold second hand, that has a tail end in a sky blue color with a lumed dot, making it easy to read the seconds in the dark. Retailing for $8,000, it is not inexpensive, but well worth every penny. 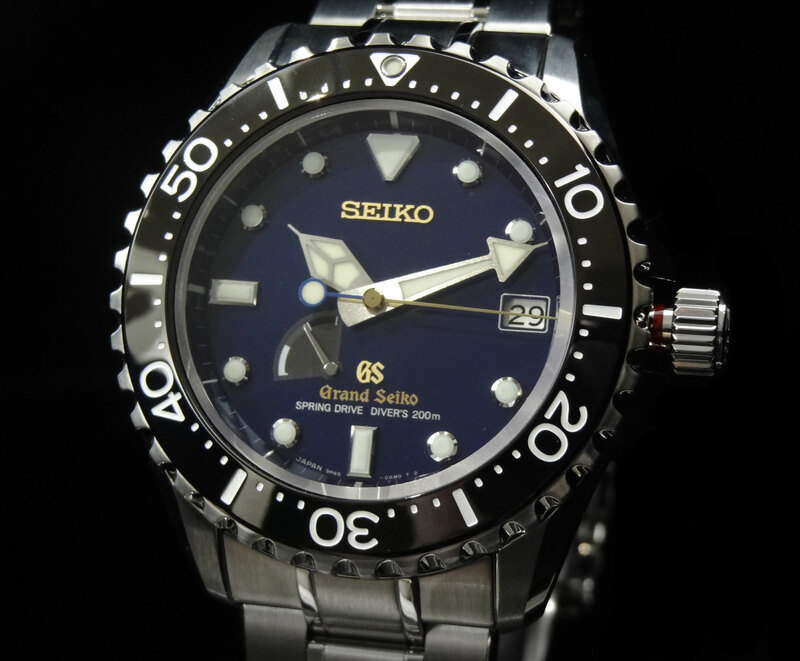 Grand Seiko lives up to the Seiko slogan “Dedicated to Perfection” in every way imaginable. Perfection is something that is unattainable in most eyes, but when it comes to Grand Seiko, it is difficult to find imperfection. Tonight is the night! 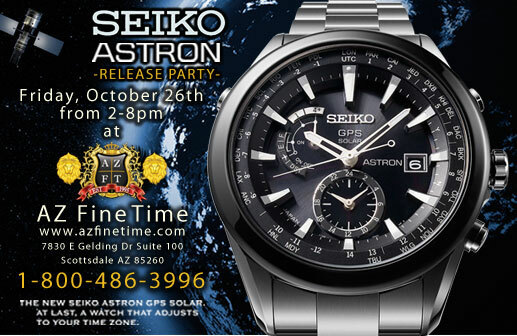 The Seiko Astron Release Party is finally here and we are more than excited to be having it from 2-8pm tonight. In case you missed the latest update, there will be no watchmaker tonight due to a scheduling conflict, so we have moved the Grand Seiko Roadshow to Friday, Dec. 7th 2012 from 2-8pm. Tonight, we will be debuting the new Seiko Astron GPS Solar, which you can read more about HERE. For this event, we will have all models in store to see in the metal, food and drink catered by Capital Grille, complimentary cigars from Ashton Cigar Co. , and a great group of guys from Seiko to chat with about their latest creation. We strongly encourage anyone who can attend to do so. Also, if you would like to partake in the event and cannot be here to attend, we will have a live feed for the whole event as well as live Q & A with Seiko (from 4-5pm PST). 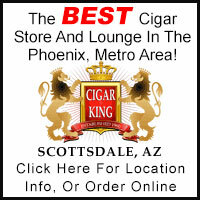 You can either email your questions to us directly at info@azfinetime.com, or comment on Facebook. We will try and answer as many questions as possible in the allotted time. Please see HERE for the link. We will have our store lit in blue to honor the release of the new Seiko Astron GPS, and for those online, have done a very special home page dedicated to the Seiko Astron, which you can see HERE. Looking forward to another amazing event with Seiko tonight! Stay tuned for pictures, more video and a full report on how the evening went! Don’t forget about the GS Roadshow in December! To all who plan on attending our event with Seiko this coming Friday October 26th… We will not be able to do the Grand Seiko Roadshow as originally expected. Unfortunately, there was an issue with availability of the watchmaker Oct. 26th, however, we will still be hosting the Seiko Astron GPS Party as originally scheduled from 2-8pm. 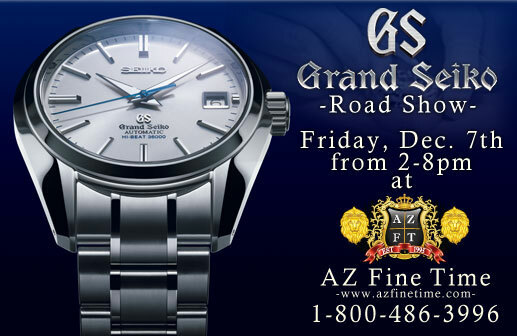 The Grand Seiko Roadshow will still take place, but has been re-scheduled for Friday December 7th 2012 from 2-8pm. We truly apologize for any inconvenience. 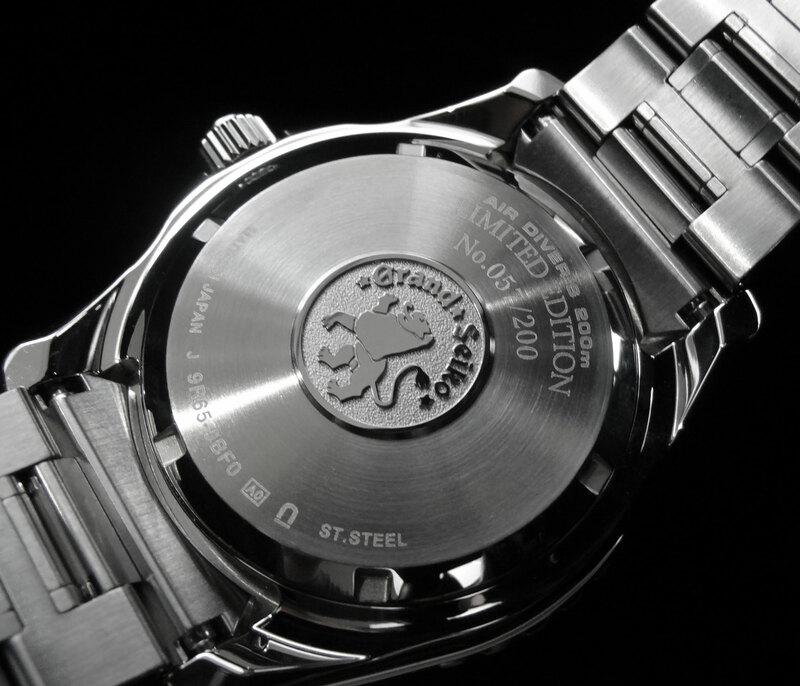 Be sure to stay tuned for more information regarding the Grand Seiko Roadshow. 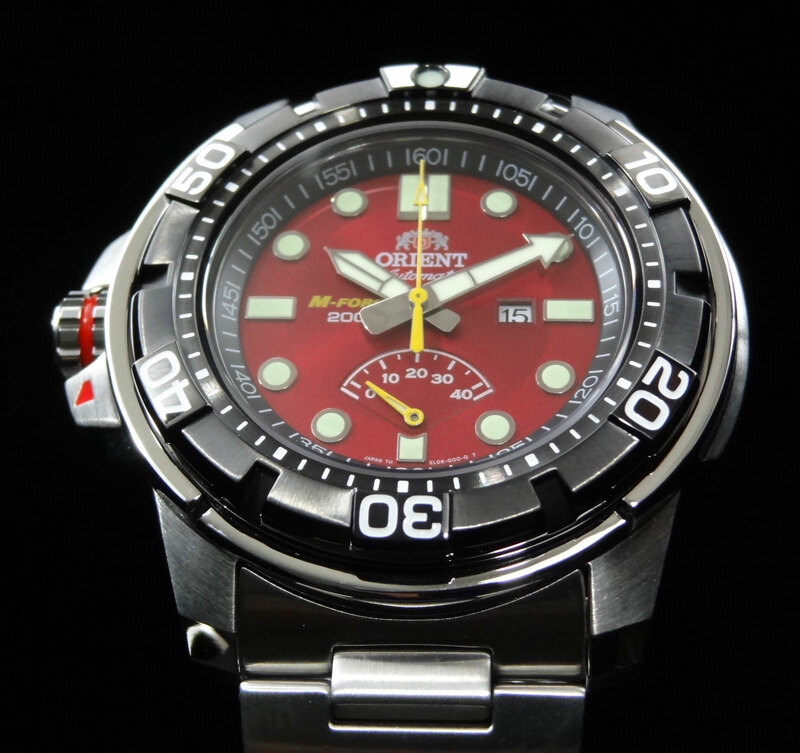 Orient Watch has tons of amazing products at unbelievable price points. With so many interesting designs and looks that are completely unique, it could make for a tough choice on which model you like best. One thing is for sure, if you love diving, or just even a bigger sports watch, you could easily become infatuated with the Orient M-Force Diver SEL06001H. 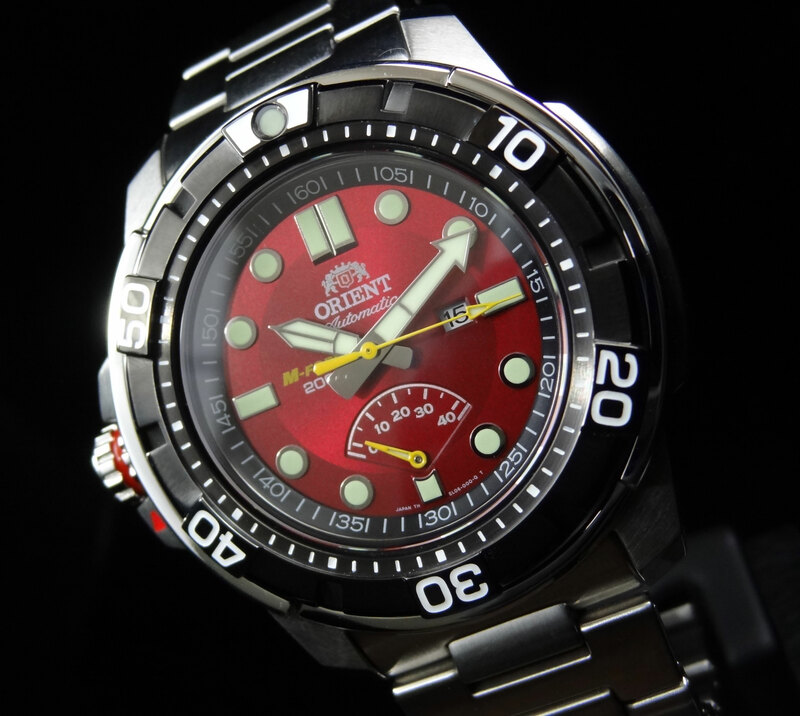 The Orient M-Force series is a collection of mechanical watches with a forceful design, hence the name M-Force. The nickname acquired by this specific series (which comes in 3 colors – black, blue and red) is The Beast, which is true to the name in every sense. This watch is indeed a beast at 47mm wide and 13.3mm thick. It’s definitely a large watch but it sits flat on the wrist. While there is not a lot of curvature to the case, it is impressive how well it wears. The overall design is really cool too. Very sharp with lots of block like parts protruding from the case sides, and bezel. I like the fact that the crown is on the left hand side as to not dig into your wrist since it is so large. The dial color is one of my favorite attributes to this piece. The dark red hue with a metallic type trait to it looks spectacular, especially with the yellow accents on the hands . I couldn’t explain why, but the combo just “does it” for me. This look along with the black bezel and black chapter ring all pull together nicely. The layout is very legible with large heavy lumed hands, a 40 hour power reserve indicator at the 6 o’clock and date at 3 o’clock (which matches the size of the index near perfect). All of this is protected by a sapphire crystal to ensure it doesn’t scratch. 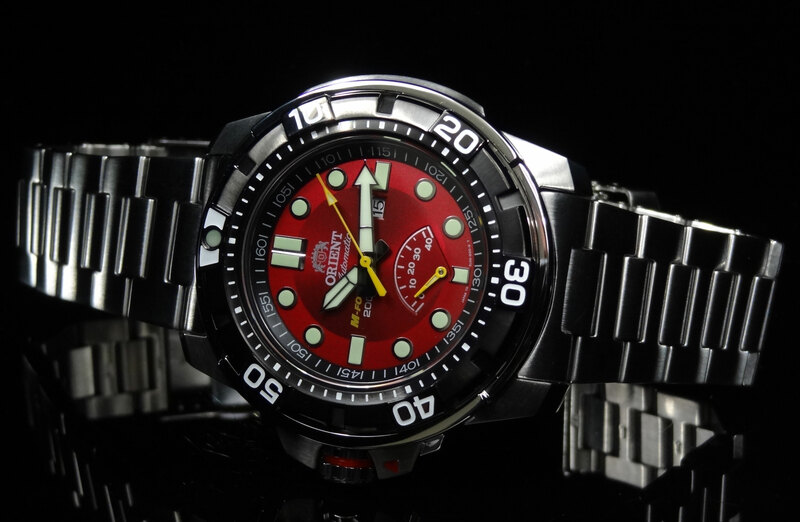 The 200m diver is ISO certified for diving, anti-magnetism, and shock resistance, making for an incredibly durable piece. In fact, the case has a special structure to absorb shock, which I think makes for a very cool special feature. 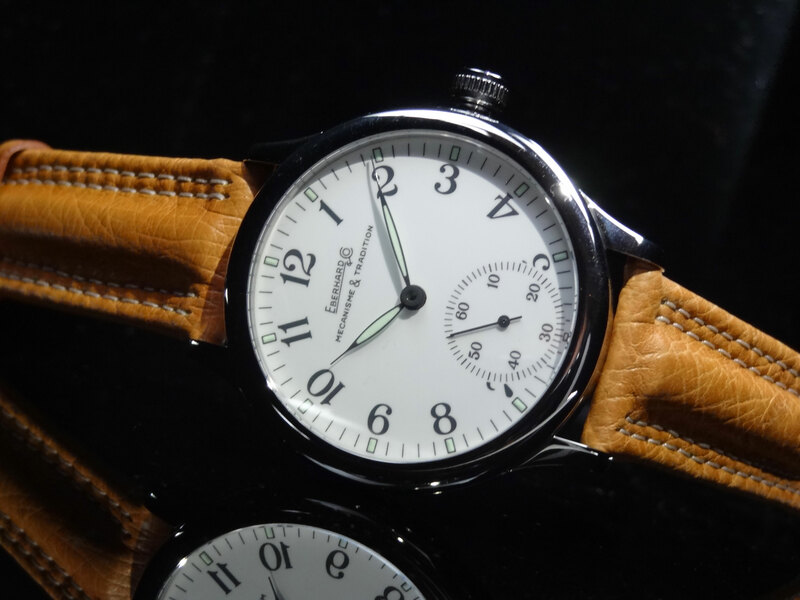 The movement is Orient’s in house manufactured 40N5A which is made in Japan and has manual winding capability along with a hack feature to ensure accurate setting. The movement has 22 jewels and a rate of 21,600 bph. You would think with all these traits, the watch would be well over $1,000 if not $2,000, but far from it. Retail is only $795, but can be purchased directly through our website for $555.95 HERE. 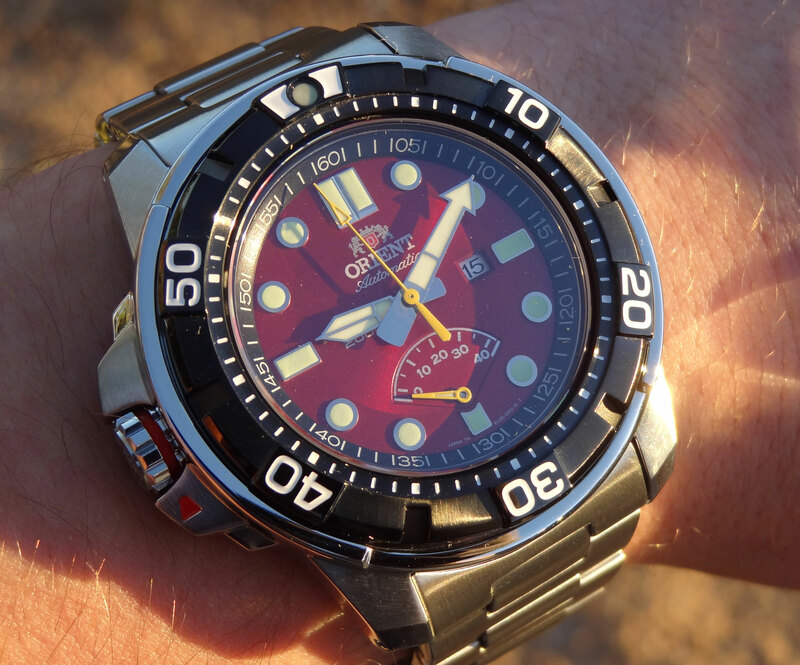 Orient still impresses me above and beyond with the quality product they make for the money. Almost forgot to mention…. 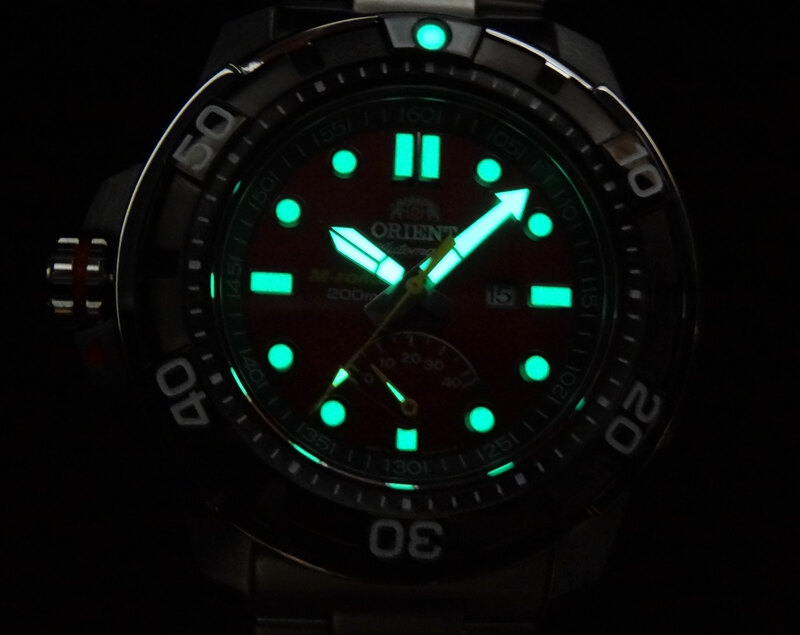 The lume is close to blinding! Gotta love that! As always, feel free to contact us at 1-800-486-3396 with any questions. The Traversetolo comes in a few different executions, but the Vitre is a personal favorite. The reason behind this is because it has a sapphire crystal exposing the movement, where the standard is a closed case back. The 3rd variation of this model is a left handed Vitre, which also has the open case back. There’s a lot to be said about the quality decoration on the 17 jewel manual wind movement. There is perlage on every exposed piece of the movement, blue screws and even a weighted balance wheel. While it appears to be an immaculately constructed movement, the feedback on accuracy has been impressive to say the least too. Always a great combo. This simplistic but elegant piece is a 43mm stainless steel case with a high polish finish. The crown is fairly large to make for easy manual winding, but is not obnoxious. 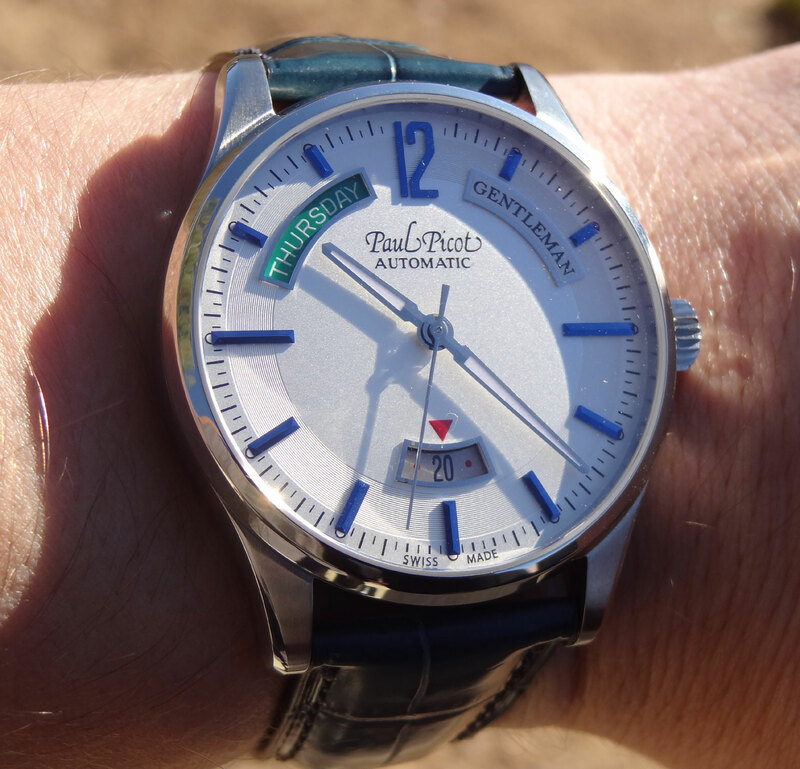 There is a dual anti-reflective domed sapphire crystal protecting the pure white dial. The heavily lumed hands and large Arabic numerals make for a very legible piece during day or night. The strap is also a really cool padded calf that protrudes out of the center of the strap with contrast dual stitching. The retail on this piece is $2390 which is very reasonable for the quality. The nice clean and simple look along with all the minute details make for a very cool addition for a collector. As always, if you have any questions, please feel free to call us at 1-800-486-3996. 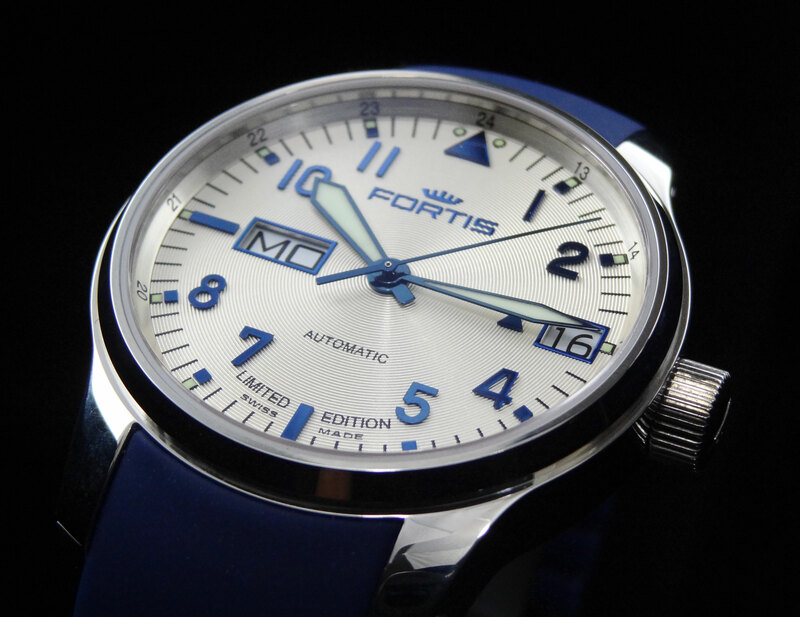 2012 celebrates the 100 year Anniversary of Fortis. 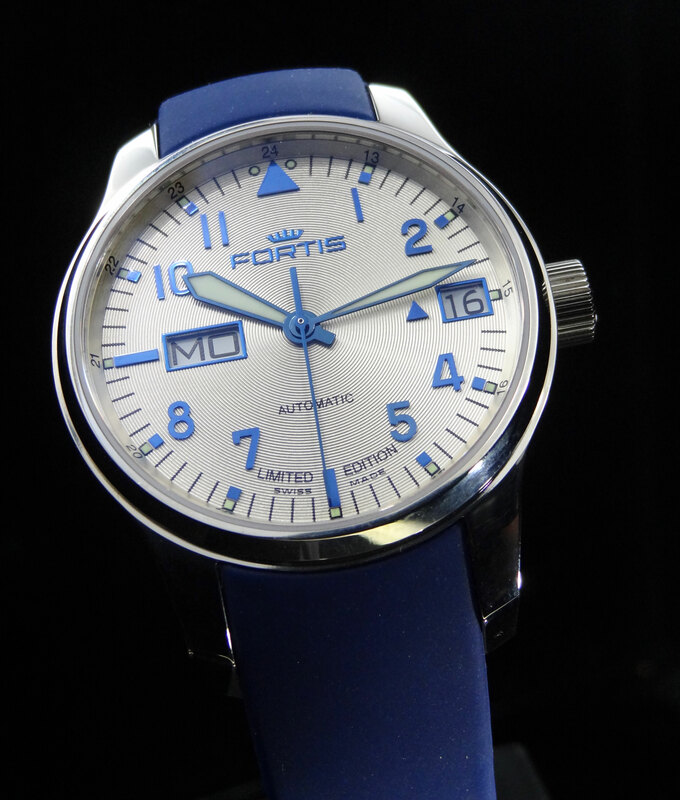 For this tremendous occasion, Fortis has introduced a number of new limited editions, one of the most popular being the Fortis F-43 Flieger Automatic Day Date Limited Edition 700.20.92 Si05. 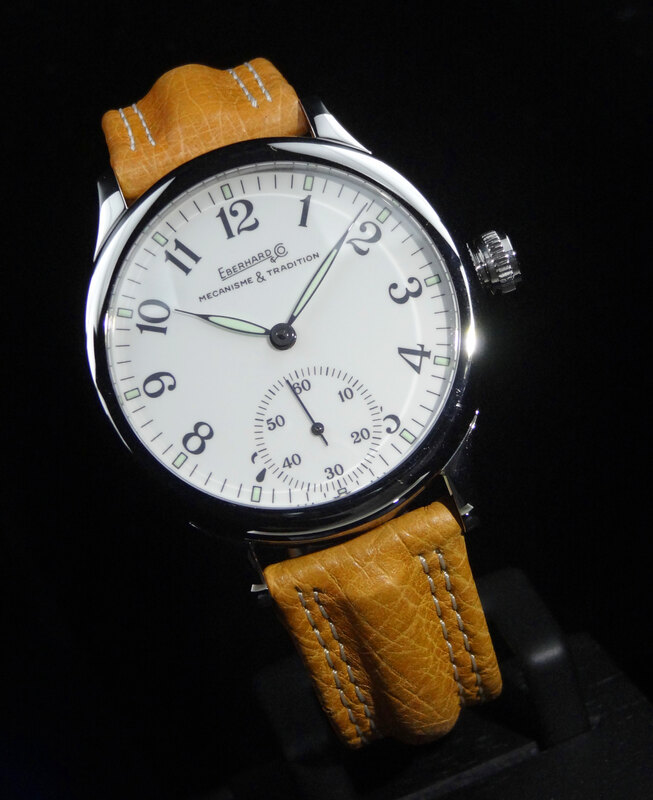 The F-43 was introduced as a new series, all being 43mm wide and come in a variety of complications. The 700.20.92 Si05 is one of the most simple, not to mention most affordable of the collection. This new F-43 features a large day date complication, and basic 3 hand time keeping. The movement used is the caliber F-2018, which appears to be a base ETA 2826-2, with modifications made for the large day feature. 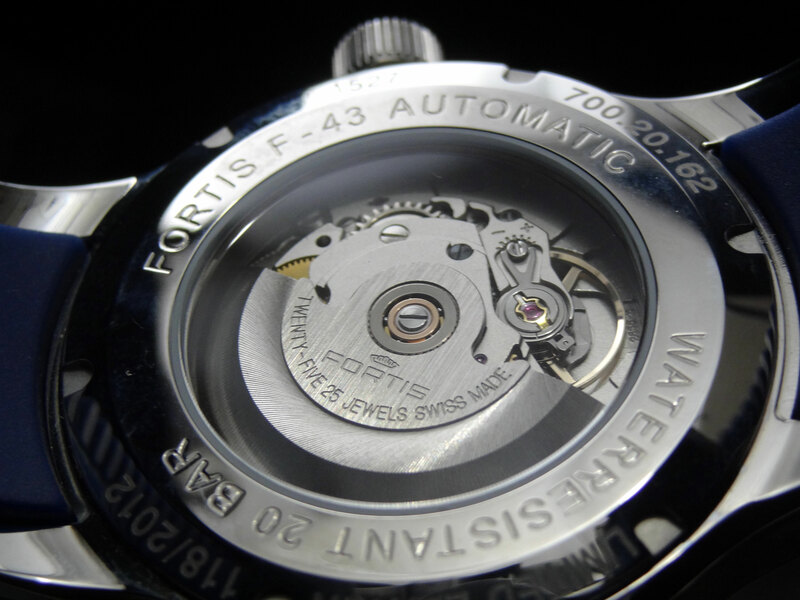 The F-43 also comes in a chronograph and a chronograph alarm with dual power reserve and GMT (which you can see HERE). The case is a beautifully done, 2 piece high polish case. The finish is definitely very high quality and shows a near mirror finish. The case is slightly thick at 12mm, but not overbearing. It wears very well and sits nice on the wrist, as it has curvature to the case and a good lug to lug length. 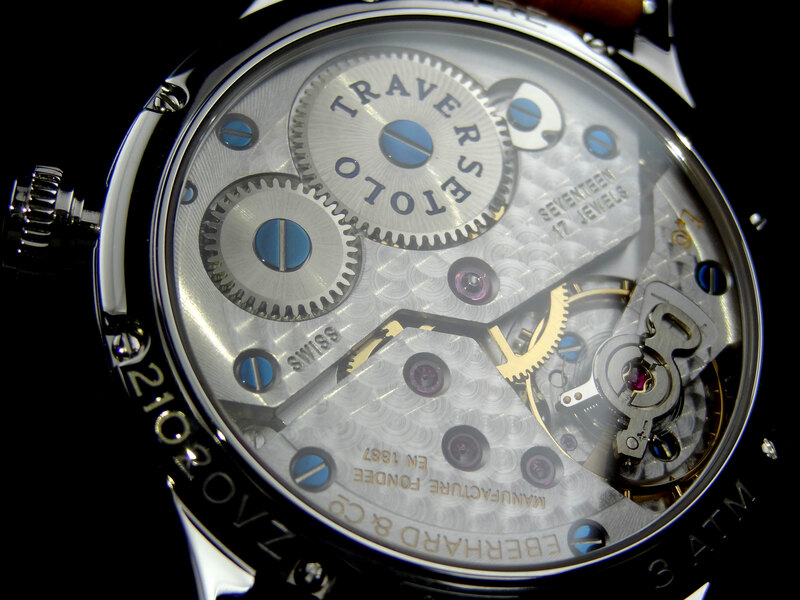 The case back is screwed in with a mineral crystal exposing the movement. The crystal covering the dial is a dual anti-reflective coated sapphire. 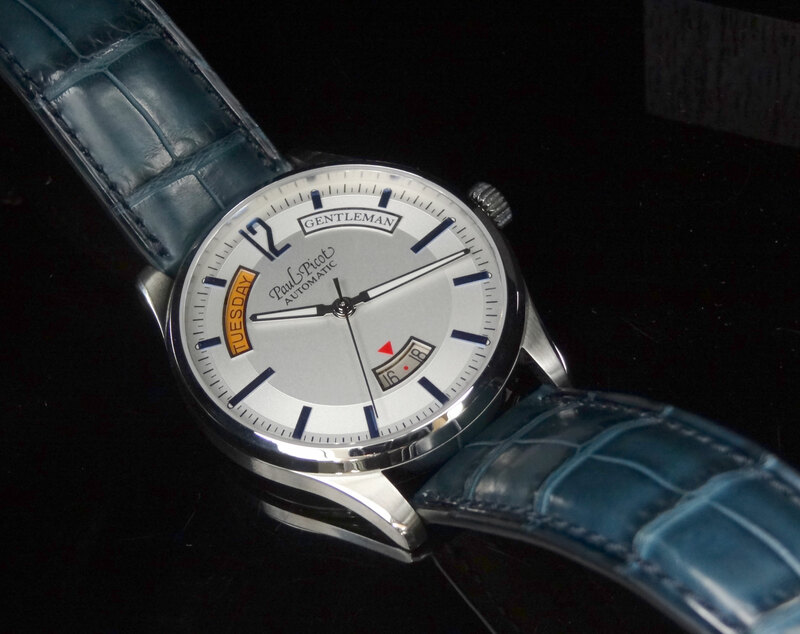 The dial is unique with a circular embossed pattern and opaline color. This color along with the blue steel numerals looks gorgeous. The texture adds great detail on the fairly simple watch and of course, the large day and date display are great as well, keeping the watch well balanced. The hands are very large and heavily lumed. This along with all the other attributes make legibility clear as day on this piece. I really enjoy the silicone strap that comes on this model as well. It’s very soft and comfortable to wear. 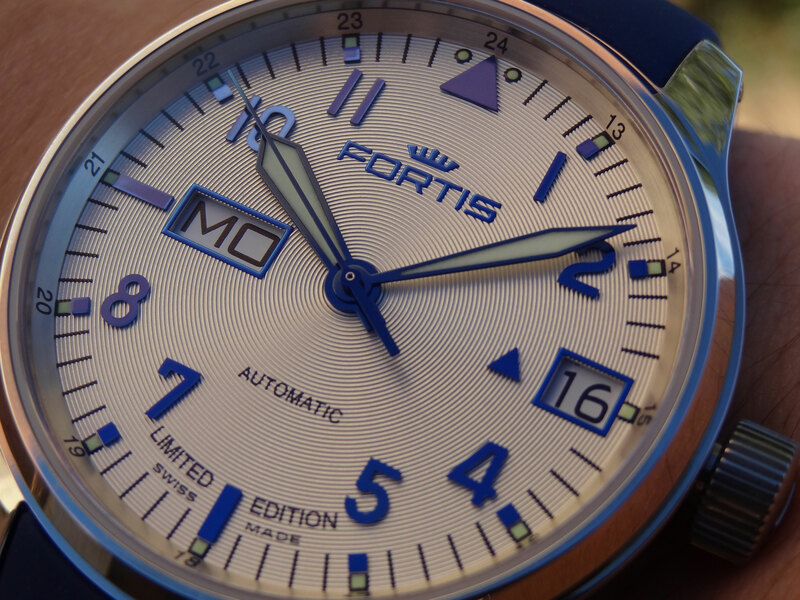 There’s also a butterfly deployment clasp engraved with “Fortis” and “Limited Edition” on each side. The inside of the clasp is covered in perlage, which is a very nice touch and done on most Fortis pieces. 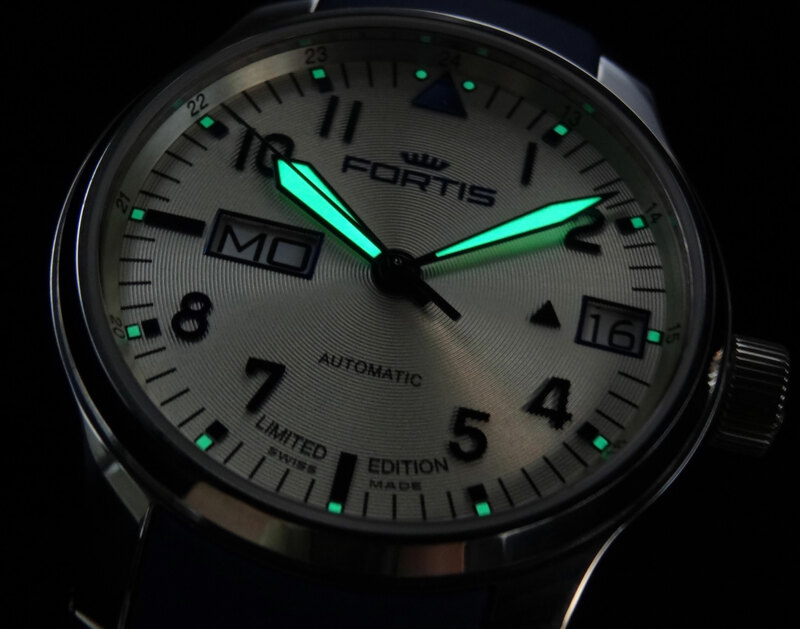 The Fortis F-43 Flieger Automatic Day Date Limited Edition 700.20.92 is limited to 2012 pieces made for the world. The retail is $2875 on the silicone strap. As always, if you have any questions, please feel free to call us at 1-800-486-3996.